Disclosure: the following book was donated for the purpose of this review. In a world where every budding long distance hiker has their own social media channel soliciting “expert” backpacking and gear advice, Andrew Skurka’s Gear Guide presents expertly organized and credibly sourced tools, tips and tricks for backpacking and backpacking gear. Skurka’s Gear Guide is the result of thousands of miles of personal adventures. Among his adventures, he is best known for his premier of the Great Western Loop, the Alaska Yukon Expedition, and his winter traverse of the Sea-to-Sea Route. If you know nothing about Andrew Skurka, please review this video of Skurka and a Grizzly Bear. Unlike most ultra long distance hikers, Skurka not only keeps a blog of trip reports, but also publishes in-depth analysis of his gear and technical specs. Andrew Skurka’s Gear Guide is a reflection of that. It is the most in-depth, well organized, and well researched book about backpacking gear available. This second edition was provided to me at no cost for the purpose of this review. The first edition I purchased for myself. Twice. I’ve used Andrew Skurka’s Gear Guide with as my go to text with clients at Blue Ridge Hiking Company as a resource for beginning and intermediate backpackers. New backpackers often find the amount of information available online overwhelming and intimidating. Skurka’s Gear Guide not only advises gear choices, but also helps beginning outdoorspeople develop good systems of organization and safe habits while in the back country. 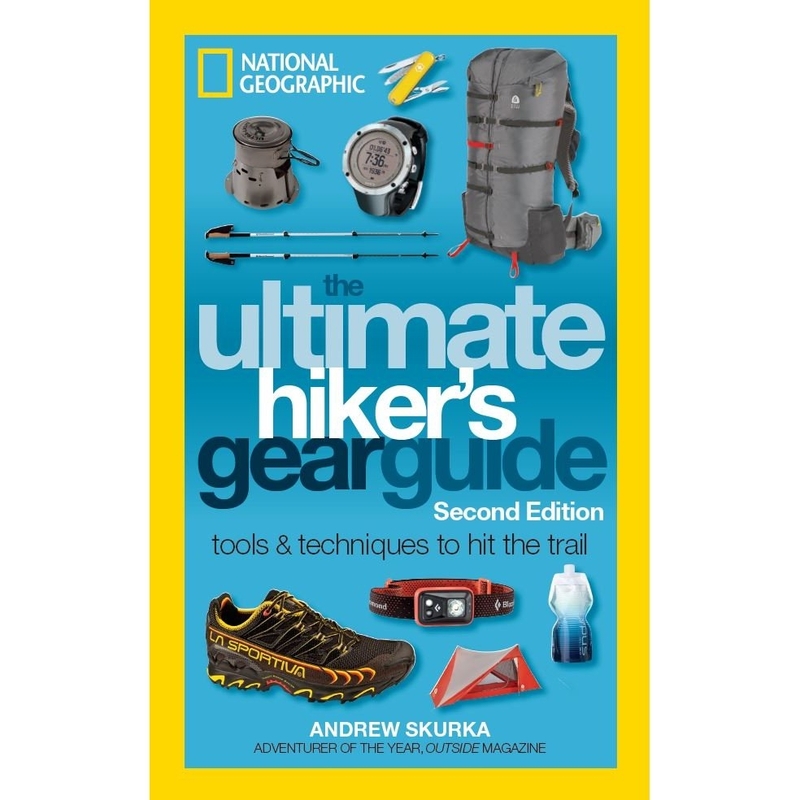 With the success of the first Gear Guide, I was ecstatic at the release of the second edition of Skurka’s The Ultimate Hiker’s Gear Guide. The second edition of Skurka’s Gear Guide not only updates gear recommendations, but reflects Skurka’s evolution from performance athlete to professional guide. His explanations are more thoughtful, aversion to GPS slightly less bitter, and his new systems of organization a clear reflection of his time as a back country guide. 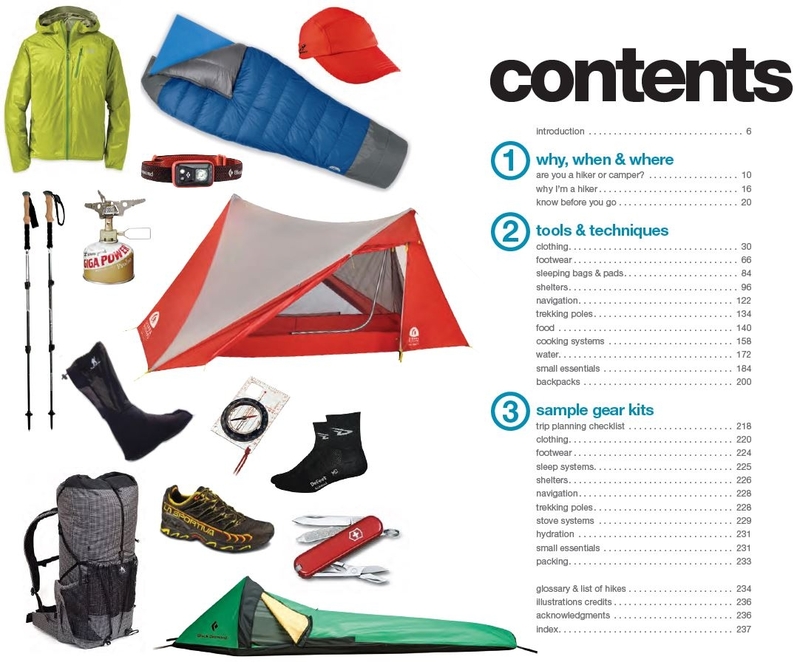 The Gear Guide is not just a guide for backpacking gear. It is also not a gear guide for ultralight backpacking or camping. It is a text that carefully identifies methods of wilderness travel and provides specific suggestions for the best gear, techniques and tools for that method of travel. While Skukra includes helpful gear recommendations, he often includes helpful techniques. For example, he includes helpful knots and tarp techniques when discussing shelter options. Clothing: Great explanations of of technical fabrics with helpful charts for clarification and comparison of fabrics. The sample kits are Andrew Skurka’s specific guides to gear for seasons, geographies, and methods of travel. They are the answer sheet for all of the technical explanations at the end of your high school math book. For beginners, they are a great resource for quick-reference and trip planning. For intermediate to advanced hikers, it is a good application of Skurka’s new Core 13 layering system. Kudos to National Geographic. The book’s layout is readable with a mix of text and charts. Of course no book on gear is going to be completely up to date. Recommendations on GPS devices and Sport Watches will always be behind. However, Skurka keeps a very active website. For example, I was recently in the market for a new Sport Watch. The gear guide has a nice comparison of watches I was looking for, but I found this article from Skurka’s site about the newest upcoming releases from Suunto. 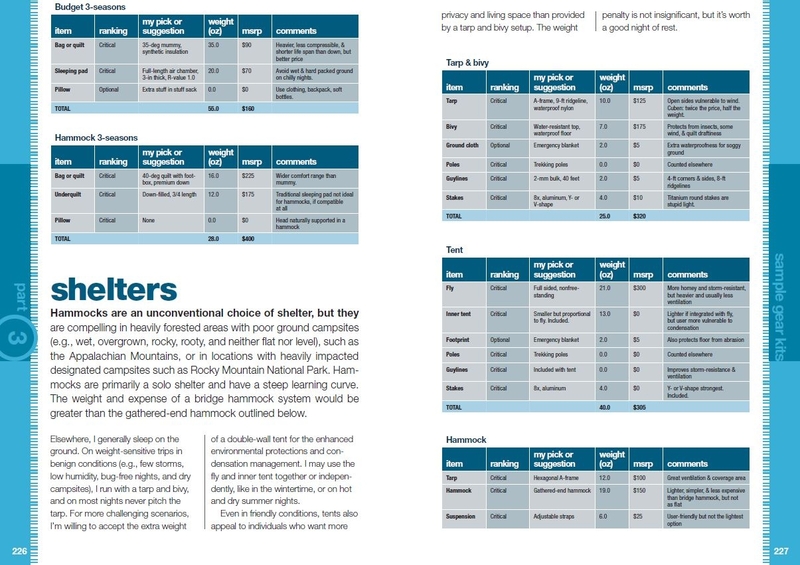 I don’t take issue with the exclusion of Women’s Gear recommendations from Skurka’s Gear Guide. After all, the book is based on Skurka’s own experience. I do take issue with the only piece of advice for women’s gear in the book. Skurka notes that Men’s or Unisex packs don’t fit most women well. Although he notes that women specific packs are widely available, which is true for mainstream pack companies like Osprey or Gregory, he fails to acknowledge that many women use ultralight unisex packs, especially in the distance backpacking world. Shoutout to the Granite Gear Virga 2, Gossamer Gear Gorilla, and my personal favorite the My Trail Co. Backpacklight (The backpack formally known as the GoLite Jam) for ultralight unisex options. If you are not familiar with Skurka’s Gear Guide and you are a regular visitor to this website, it is in your best interest to buy the second edition immediately. I own both the first (and now the second edition) and they are invaluable for both personal and professional trip planning.